A couple of months ago I was scrolling through LinkedIn and to my surprise, I saw that my friend Lantre Barr had recently been named Inc. 5000’s Fastest Growing Companies in the US. After graduating college in the middle of the recession, like many Americans, Lantre found it difficult to find a job using his degree. Out of pure necessity, Lantre started his company Blacc Spot Media, a communications and technology company. In 2013 he made revenues of $150,000 a year and in just three years grew to generating $2.9 million, landing him on Inc.’s prestigious list. Of course, I had a lot of questions on what he had to do in his business and what was the mindset shift that had to take place mentally for this to even be possible. 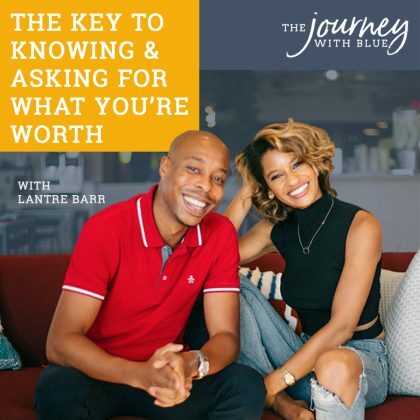 After digging deep, Lantre shared that yes, the right introductions and going for bigger deals was a part of the shift but internally he had to become more confident in himself and the value that he provided. The importance of showing compassion to yourself as an entrepreneur and celebrating your wins along the ‘Journey’. We may not all be going for million dollar deals (yet!) but at some level we are all second guessing our value and what we have to offer to the world. What’s keeping you from going for great? From leveling up? From asking for the money you deserve?...True, undeniable, unshakeable belief in self is where it all starts. If you can relate or have thoughts about this conversation, I would love for you to comment and share below. And as always know that you are not alone in the ‘Journey’.